One good way to both study and test the understanding of a language concept, is to try to use the grammar and vocabulary in your own meaningful sentences. My tutor has helped me do this many times by encouraging me to both speak and write sentences based on a particular concept I am trying to learn. 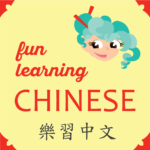 One example of this was during a week when I was concentrating on understanding special words that are necessary for changing word order in Chinese sentences. I used recent vacation adventures in crocodile territory to inspire me. This week, I’m going to begin work on a very popular Chinese song, but the lyrics are not something I can relate to, so I’m going to change it some, with supervision from my tutor, of course. This will help me dig into the grammar more, and make it a more memorable song for me. It’s poetic the way it is written, but it doesn’t have anything to do with my life … yet. Life is a chance to let love blossom and grow.